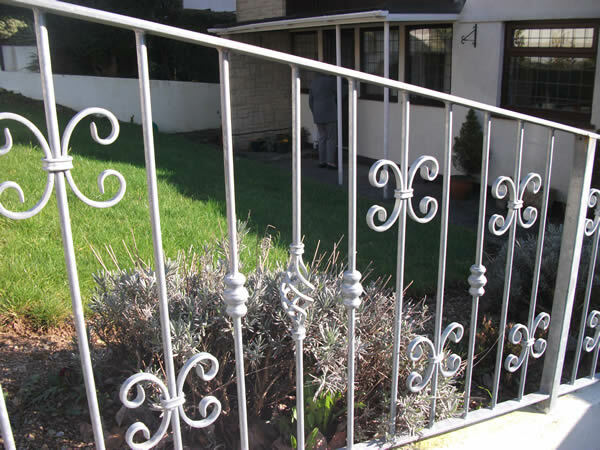 All our wrought iron railings are bespoke and made to order. We have 100's of patterns to choose from and will assist you in selecting the correct designs for your home and road including gate posts. The fixings can be by bottom bar, diamond drill for leaded in. All made to comply with building regulations and a full design service is available.